Shopping for some casual baby essentials to keep your young one warm during cool weather? At Goxip, you’ll find adorable options of baby hoodies, sweatshirts, and other cool-weather clothing. If you want to push the boundaries of the colors you use for children, you can get playful with the colors and textures of our fashion-forward selection and make your baby look cute and trendy. You can find a colorful and bold hoodie perfect for the weekend, or a basic zip-up style to wear on everyday occasions. This season’s sweatshirts and hoodies for babies come in fun prints, cool patterns, and bold colors. 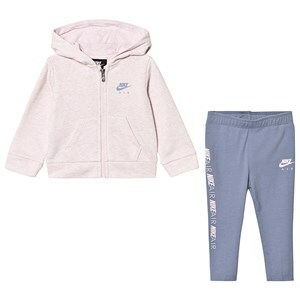 Buy any type of hoodie - from sporty pullover or zip up hoodies to hooded or crew neck sweatshirts and kangaroo pockets. At Goxip, you’ll find all the sporty and comfortable styles you need for your baby girl or boy to play without a care in the world. Get the latest styles of sweatshirts and hoodies from all the trusted names in children’s apparel, and don’t forget to check out our sweet deals.